I can officially say Happy New Year!!!!!! I didn't think I was going to make it but I actually stayed up till midnight and watched the ball drop in time square. This is quite a accomplishment for me LOL. I remember the days of being able to stay up till all hours of the night. Well that was before I had kids. Now I get so drained I am in bed before 10 pm. Hello to 2010 and goodbye to 2009. 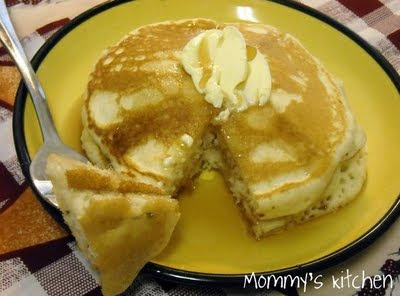 Before we say goodbye I wanted to post the Top 15 Most Viewed Recipes on Mommy's Kitchen. To view each recipe you need to click on the link below each photo. So far, I have loved every recipe that you have offered on your site. My faves have been the sopapilla cheesecake and the yogurt. 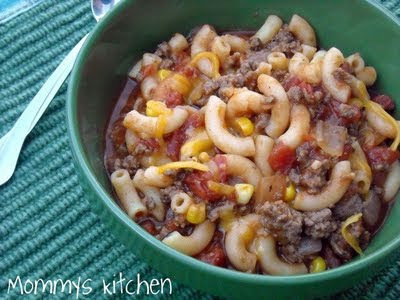 Going to be trying the goulash soon. I make it a and it is very much like yours. I accepted a challenge to cook out of my pantry for the month of January so I will be searching your site to use what I have already. Thanks for a great 2009 and all of your hard work! 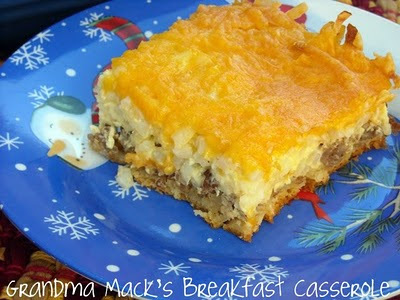 I have made the breakfast casserole, it was delicious!! I also liked the german chocolate cheesecake. Thanks for the great recipes! I feel like I must be an outsider because I have probably viewed every single other recipe of yours than the 15 you listed. Isn't that funny? 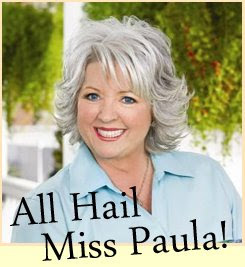 I just happen to be not a huge fan of making desserts or southern food. P.S. I found your site by googling Amish White Bread about six months ago. Oh great! Now I am hungry. Love all the recipes in your top 15! Thank you everyone. Leslie is is good seeing you pop up again. Miss ya girly girl. Hey - coming over from SITS - happy saturday sharefest! Your site is DEADLY!! Can't wait to try one of them out!! Oh this is so not what I needed to see while trying to diet. 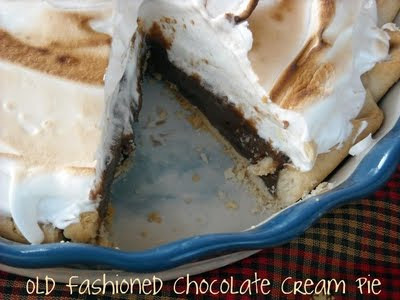 Chocolate pie was my grandpa's favorite. i GET A PICTURE BUT CANNOT GET THE RECIPE CONTENTS. hELP! Annie Marie you need to click on the link below the photo. It should pop up that recipe post in a new window. Awesome , You are so blessed!!! Wow, what a great blog on eats and how to's. Usually I am an everyday artist at large so finding your place here was not planned but am so happy I did it stirs in me a desire to get to cookin~up some great receipes here for the hungry men in my family, well, they like to call themselves that anyway. 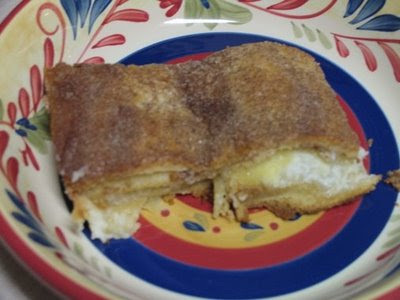 I will be bookmarking your blog as the "Receipe Lady". You have so many followers so waht's 1 more,,lil old me in Iowa!!! So happy I came upon your Lovely~Cozy Blog, no wonder you have so many blog~awards!!! Can't wait to try some of your receipes Sweetie. Hope this finds you and your family Happy, Safe and Living in Gods Spirit everyday. A little prayer from me to you~~~May you and your family enjoy God's Blessings and His Angels around you this New Year through and wonderful blogvilleish friendships too, and thanks for being inspiring and for simply being YOU"
""May Gods Angels Always Keep Watch Over You~~~Blessing You in all You Do""
Love the snaps of your kids and the your big puppy too!!! JOYOUS!!! OOPS I miss~spelled recipe wrong,,,duh, show you why I stick to drawing and coloring,,,hehehe! We seem to cook quite similarly! I just found your blog and love it. I have a recipe blog, as well. If I use one of your recipes, I'll be sure to link back. Happy New Year!